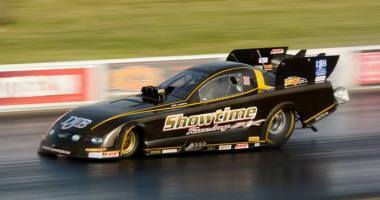 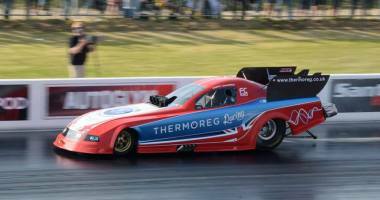 Similar to their Top Fuel counterparts but with a shorter wheelbase and a carbon-fiber body that loosely resembles a production-based automobile, Funny Cars routinely run in the 4.5-second range and are capable of speeds in excess of 450 km/h over 1000feet. 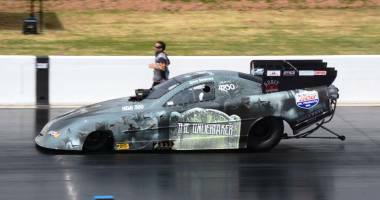 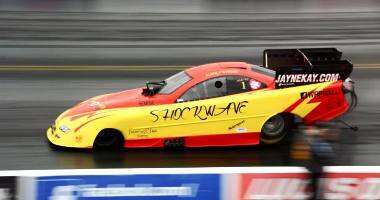 Funny Cars are powered by the same supercharged and fuel-injected 500-cubic-inch engines as Top Fuel dragsters. 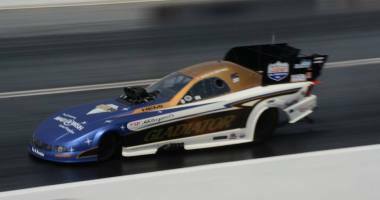 Funny Cars are also similar to Top Fuel dragsters in that they do not use a transmission but rather transmit power to the huge rear slicks through a multistage clutch assembly that is activated by timers.